A planned law will ban asylum-seekers who arrived in Australia by boat from ever entering the country, even as a tourist, Prime Minister Malcolm Turnbull announced on Sunday. The measure will apply not only to the newcomers, but also to people who have been put in detention centers on Nauru or Manus Island since July 19, 2013. The ban would apply to adults only, while children would retain the opportunity to someday receive an Australian visa. Current PM Turnbull defended the move by saying that it would send a “strong message” to the people smugglers and those who are trying to persuade the refugees, held in Nauru and Manus, that sooner or later Australia would grant then asylum. 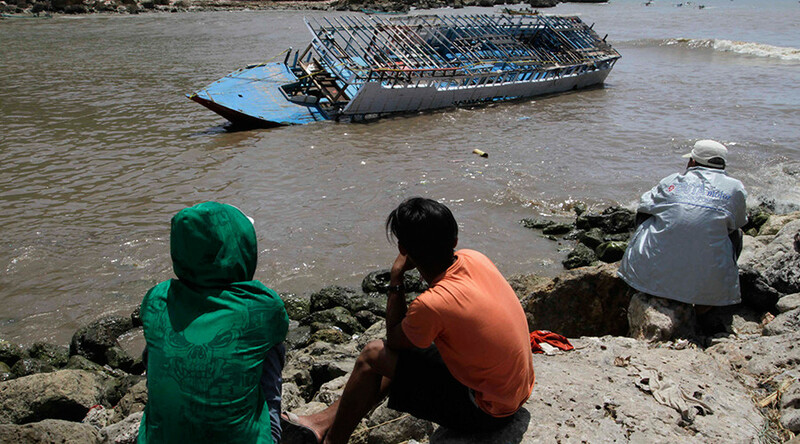 “These people smugglers are the worst criminals imaginable. They have a multibillion-dollar business. It is a battle of will. We have to be very determined to say no to their criminal plans,” he said. “They must know that the door to Australia is closed to those who seek to come here by boat with a people smuggler – it’s closed,” Turnbull added. For the ban to go into force, the Australian government expects to make amendments to the 1958 Migration Act during next week's parliament session, the prime minister said. “We accept thousands of refugees and we do so willingly. But we won’t tolerate any repeat of the people smuggling ventures, which resulted in over 1,200 deaths at sea under the Labor party, and 50,000 unauthorized arrivals,” he stressed. Immigration Minister Peter Dutton, who attended the press-conference together with Turnbull, said the law would also prevent asylum seekers from Manus Island and Nauru from marrying Australians in an attempt to make it into the country on a spouse visa. “We are not going to allow arrangements that would subvert the program and the success that we’ve had within this process,” Dutton stressed. 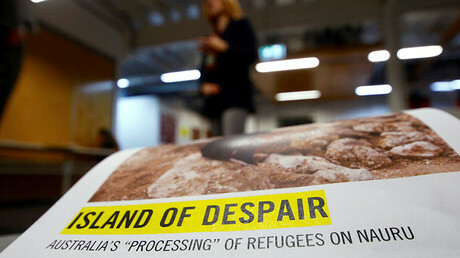 The announcement drew criticism from the opposition, human rights groups, and asylum-seeker advocates in Australia. “Why are these measures seen as necessary when the government for some time has said they have got things under control?” David Manne, RILC executive director, told ABC television. The Australian government has “sunk to a new low” by attempting to “punish the innocent people” who came to the country seeking protection, they said. — Queensland Greens (@QldGreens) 30 октября 2016 г. "Those who are already here rebuilding their lives in our communities must be allowed to stay," Webb said, cited by SNS. He urged for those held in detention centers to also be allowed into Australia, stressing that "we need to open up safe pathways to protection, rather than just closing unsafe ways." Prominent Australian barrister and adviser to WikiLeaks, Greg Barns, suggested that the law proposed by Turnbull won’t fly in the High Court. — Greg Barns (@BarnsGreg) 29 октября 2016 г.